Sharing our knowledge and experience is another part of what we love to do alongside of capturing stunning images for our clients. J&J Studios collaborated with PromMiss Dresses featuring their gorgeous evening gowns for a Prom 2K19 photoshoot at City Hall and Dilworth Park at Philadelphia. Learn about the best engagement photo spots in the city and surrounding areas. This is one stop shopping for proposal and engagement photo locations in Philadelphia. Thank you Philly in Love for featuring us. Learn more about us on Philly in Love and see what our clients have to say about their experience with us. An AMA we recently did with EBE Talent, one of the premier DJ, Band, Emcee and Lighting companies in the Philadelphia region. A few reasons why professional headshots are important. Professional headshots are absolutely a necessity in the digital age whether you’ve just graduated, are preparing for entry into the medical field, a working professional, or simply looking for a job. Turning 13 is a big deal and fun in the Jewish Community. We had a great photoshoot with Ava in preparation for her Bat Mitzvah coming in June. We had a great engagement shoot with Gio and Natalie at Cira Green, a rooftop park. Engagement shoot is a great time for us as photographers to build a connection with our clients prior to the big wedding day. It’s always a great time for us and the client themselves. Never fear wet/snowy/wintry weather because they make unforgettable moments like proposals twice as memorable and the photos that come out are guaranteed extraordinary. Carlos and Brittany will be looking back to this day in awe. If you’re on the fence about whether or not engagement photos are needed? Look no further, let us tell you why they’re important because it’s more than just using them as save the dates. It’s ultimately preparation for the big day. Congratulations to Ali on celebrating her milestone this past weekend with an extravagant Bat Mitzvah at The Inn at Villanova University. We started with family portraits followed by a full night of dancing including a solo performance with backup dancers by Ali herself. Now that summer is over, it’s time to embrace the change of colors and cooler temperatures. Dana & John celebrated their wedding day on the first day of fall. It was an amazing day filled with family, friends, love and laughter. The one thing you can’t predict when planning a wedding or proposal is weather on that day. Despite the arrival of Hurricane Florence, the proposal that was planned months in advance was still a go at Pennslanding under the Ben Franklin Bridge. Our equipment held up to the weather and we’re so excited to share the photos. Carson Wentz AO1 foundation along with The Connect Church finally launched Thy Kingdom Crumb and we were there to capture the excitement in the 2 day event. The launch took place at Passyunk ave in the parking lot of Acme followed by the first Eagles game at Lincoln Financial Field. Carson Wentz, Philadelphia Eagles quarterback and Zach Ertz served up the neighorhood with delicious food provided by Rastelli and other sponsors. It's all about location. From the proposal to the actual wedding, an epic venue will make an event extravagant in many ways. Sean planned an amazing proposal on the balcony of XIX Restaurant located in Bellevue Hotel of Center City Philadelphia. Check out the rest of the post for some unforgettable moments in an amazing location. How Many Photographers Should I Hire? As you find yourself planning your wedding, you will notice all the little details you need to consider. 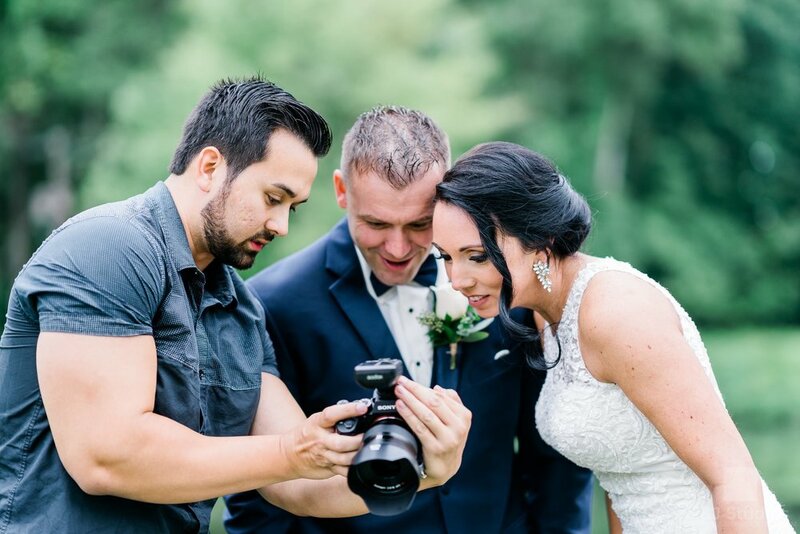 In considering photography for your wedding, it's definitely important to have at least 2 photographers to cover multiple angles during getting ready of bride/groom, ceremony, speeches. If you're having trouble deciding, keep reading and consider a photographer's perspective/angle. Saint Peter's Church is one of Philadelphia's oldest church with amazing historical features and a unique seating arrangement. The interior is filled with white and gold along with detailed stain glass windows. Emma & Ave celebrated their marriage with an intimate invitation of 30 close family and friends skipping out on the traditional dances and DJ. Their ultimate goal was to celebrate the day by spending money on what's most important to them. We love being able to see through a couple's life event from proposal to engagement to the big day. We photographed Zach's proposal to Cara last December at Rittenhouse; now, we are capturing their engagement photos with their dog Galaxy. It was a wonderful time and we can't wait to capture their amazing day at JG Domestics Philadelphia. What's the one thing you can't predict when planning a wedding? Yup, it's the weather. While the few days leading up to it might be dreadful and despite mother nature not cooperating on the day of the wedding, Kristin & Harry still had the best time of their lives. Their reception was absolutely entertaining highlighted by an Eagles chant celebrating Philadelphia's Championship this year. We got to spend 2 hours with this lovely couple during their engagement shoot starting with City Hall of Philadelphia to Race Street Pier at Penns Landing. This lovely couple from New York will soon move to Philadelphia to begin their journey as Husband and Wife as they prepare to be married in 3 weeks. It was a great time capturing their unconditional love for each other. Maternity photoshoot is a great way to capture the glow of a mother-to-be. It's the perfect way to embrace the beauty of pregnancy and pre-childbirth. Jackie & Bino will soon bring a new life to this world and decided to share this wonderful experience by allowing J&J Studios to capture the beauty of becoming a new mother and a father. Flowers, Gardens, Fountains, Trees, Birdhouse, beautiful large lake, and the Pierre S. Du Pont house. There are just unlimited possibilities whenever we shoot at Longwood Gardens. Flowers are just beginning to bloom as spring has sprung upon us. "Every season has its own characteristics. If we had no winter, the spring would not be so beautiful." We've been waiting for warm weather for the longest time this year. It's an incredible feeling when flowers begin to bloom after a long, cold winter. It's finally starting to feel like spring and our newly engaged couples are ready for their cherry blossoms photoshoot. You don't have to go all the way to Washington DC to witness the beauty of cherry blossoms. Cherry Blossom trees are grown all over Philadelphia. Keep reading and check out our behind the scenes video! Prom is the most important night for young teenage girls. Whether they're going with a date or a group of friends, it's all about the dress and having fun. We gathered a few fine young ladies to showcase Bernedette Herder's beautiful evening gowns. As I went through our database, I came across this wedding that happened 2 years ago. A test to my memory on what I can remember from this wedding. The one thing that stuck out to me was the unforgettable reception, 98 degrees in August, and the backyard ceremony. The couple diverted their wedding budget and placed high priority on a live band, DJ, and photography to capture their unforgettable day. Occasionally, we run into brides that are brave enough to take their wedding to a next level of creativity. Marnee + Rich gave us the opportunity to experience a Renaissance wedding. From the decor to bridal gown to the guest's outfits, everything came together beautifully. We're excited to share Kevin & Monicka's post-wedding bride and groom portrait session taken at Longwood Gardens located in Chester County, PA. The average cost of a wedding is at least $25,000! Can you actually plan a budget wedding? Absolutely! Check out Colleen & Mike's simple and elegant wedding. As long as photography is your top priority in the wedding, you will end up with amazing photos and still spend less than the national average cost of a wedding. Philadelphia Art Museum is a historical landmark, home of the famous rocky steps/statue, and a popular engagement photoshoot location. The Fairmount Water works was once the nation's first water supply to use paddle wheels to move water and is now one of Philadelphia's most popular wedding venues. Philadelphia City Hall is the largest municipal building in the country. We're excited to share Mohnish & Akriti's engagement shoot experience shot at some of the most historical locations in Philadelphia. Here we photographed Don and Samantha's beautiful engagement amid the opulent Hunting Hill Mansion and the natural beauty of Ridly Creek State Park. We were also retained for their wedding and can't wait to create more art together! What if the photographer is sick on my wedding day? This is the million dollar question that we get asked all the time. Relax, we have an answer for you. We offer complimentary engagement shoots in some of our wedding packages. It's the fun part of wedding planning and a perfect time to capture save the date photos. Based on our experience, we have some tips for you so read on. The last tip? Have fun! For the most part, the groom's main role is to basically show up to the wedding ON TIME. Guys, you're important too, so here we have a prep guide to help the groom and groomsmen ensure their photos turn out as epic as the bride and her tribe. We know the bride will hardly be able to sleep the night before the wedding and her along with the bride tribe will be up at 7:00 AM to get ready for the big day. Here are 5 things for the bride to do the night before the wedding to prepare for some epic photos on the wedding day. We all know the day will be crazy in the bridal suite. 10 Things your photographer wants to tell you but can't! Buying out a restaurant for the day to host a wedding is a common thing nowadays. 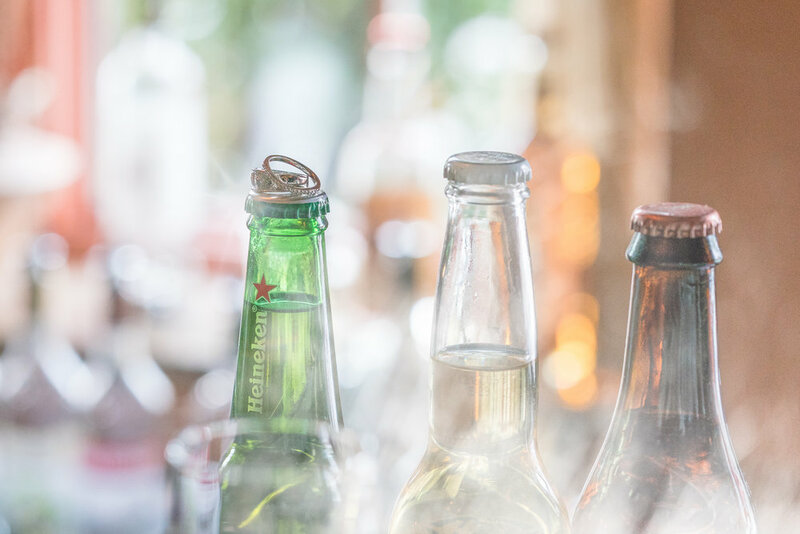 If you enjoy the food and atmosphere of your favorite restaurant, why not own it for the most important night of your life? Our couple Anthony and Brianna reserved their favorite Philadelphia Brewery to host their wedding ceremony & reception. Newly renovated ballrooms at the Philadelphia Marriot Downtown hosted Ann and Jeffrey's ceremony and reception. We've captured some amazing photos for our couple including some night session images done post-reception. An absolutely wonderful experience! Elisa & Pat said their "I do" at the fun and relaxing Great American Pub located at the heart of Conshohocken, PA.
We know you have a lot of questions when you shop for a wedding photographer, we're excited to share a helpful guide to get you started on selecting the right photographer for your wedding. A Stunning portfolio is not only important for us as photographers but also for upcoming models who are trying to make their way into the Hollywood industry. Here we share our GQ photoshoot experience with upcoming model Joshua Alexander from Philadelphia, PA.
Joseph is kick-starting his career in the modeling industry. We worked with him to build a stunning portfolio at the the Philadelphia City Hall and a few other urban spots. Hiring the right photographer to capture your best sides is the first step to a successful modeling career. Fall is the season with brisk cool weather and unlimited shades of red, yellow, green, gold, and brown. This is a popular wedding season for many couples because of the stunning colors that nature unleashes during this time. For additonal posts about our day to day happenings here at the studio and throughout the area, check out our Facebook, Instagram, or additional blog posts.